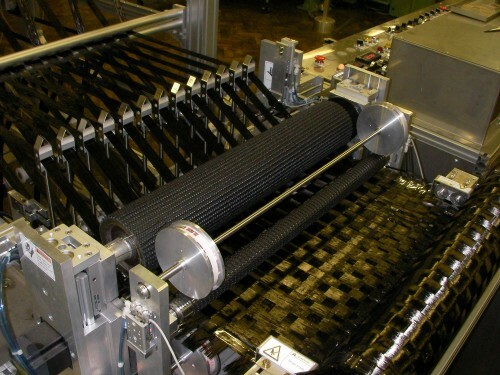 I can produce the textile which used spread tow for the warp, the weft by Spread Weaving Machine. I install the thing which the warp does spread beforehand and wrapped the reel with, and it is it in form to supply the weft while doing spread in real time. Other than a standard plain weave, twill fabrics, vermilion itoori silk cloth are equivalent to every how to weave. Because Spread Weaving Machine can’t do such a hit and reed like a normal weaving machine, the speed by the present becomes seven pick front and back for one minute. In addition, the width of the warp, the output width become basically fixed, too. The reference standard specifications are as follows.